Stockholm (AFP) - Global furniture giant Ikea announced on Sunday the launch of desks, tables and lamps that will wirelessly charge phones and other devices. "Through research and home visits, we know that people hate cable mess. They worry about not finding the charger and running out of power," Ikea's business area manager of lighting and wireless charging, Jeanette Skjelmose, said in a statement. "Our new innovative solutions, which integrate wireless charging into home furnishings, will make life at home simpler," she added. 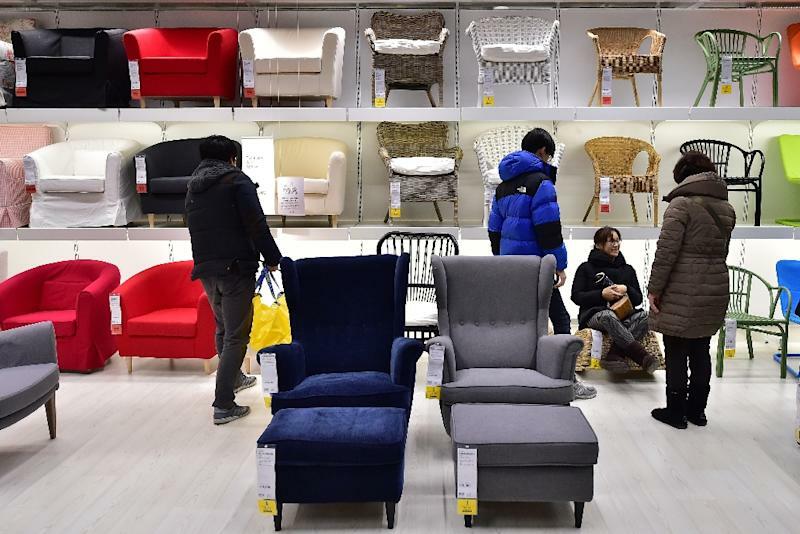 The Home Spot range of desks, bedside tables and lamps will hit stores in Europe and North America in April, Ikea said, with a "global roll-out" in the works. "This is (a) very early time in the furniture business to blend wireless technology," Jeff Kagan, a technology industry analyst, told AFP. "I expect every other furniture maker to jump on this same bandwagon," he added. In January Ikea -- which employs 147,000 people worldwide -- reported annual profits of $3.74 billion (3.33 billion euros) for 2014, unchanged from the year before.